Twelve years ago today Fujifilm announced six new compacts all at the same time, which is something that camera manufacturers used to do a lot. Here’s a fun game: ask anyone who writes about cameras to tell you about CES in the mid-to-late 2000’s, but don’t be surprised if they start babbling incoherently about megapixels and run screaming from the room. The Fujifilm E550 Zoom. Similar to its more elegant sibling, the F810, it offered a high ISO 800 setting at a reduced 3MP. Back in August 2004, Fujifilm launched its FinePix E Zoom compact series, describing it as ‘no-nonsense’ and ‘sure to bring even the most hardened sceptic round to digital photography.’ The E500 and E510 boasted conventional 4.1MP and 5.2MP sensors respectively, while the FinePix E550 offered a 6MP SuperCCD HR sensor, Raw shooting and sold for a ‘competitive’ $350/£300. 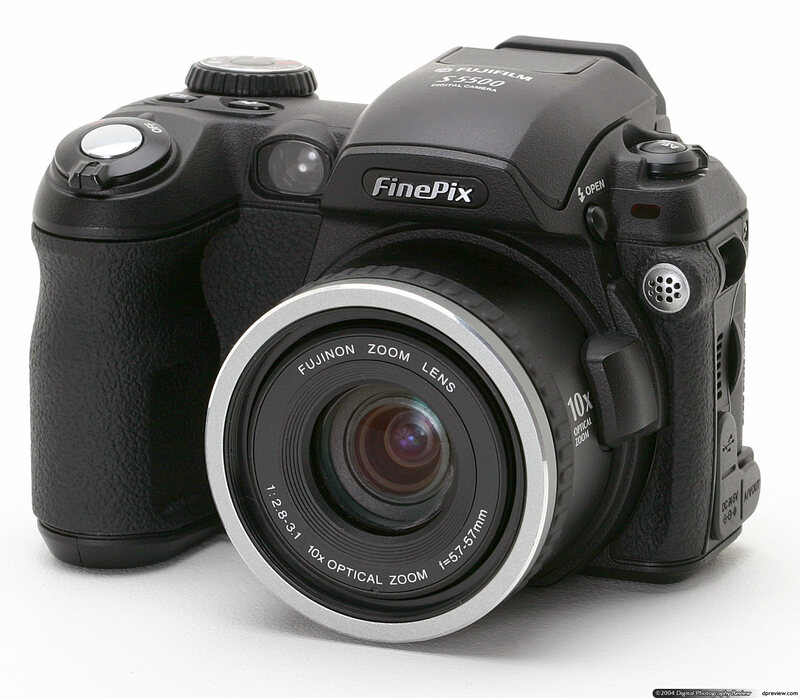 Also introduced was the FinePix F810 Zoom, with many of the same specifications at the E550, but with a few premium touches like a metal body and a 2.1″ widescreen LCD. But there was more! Also announced were the FinePix S3500 and S5500/S5100 Zoom SLR-style bridge cameras (the latter being our own Richard Butler’s first digital camera). The S5100 used a conventional 4MP sensor rather than the Super CCD sensor used by its predecessor, and offered such luxuries as Raw shooting, VGA 30 fps video recording (with sound! ), a 115,000-dot LCD and PictBridge compatibility. 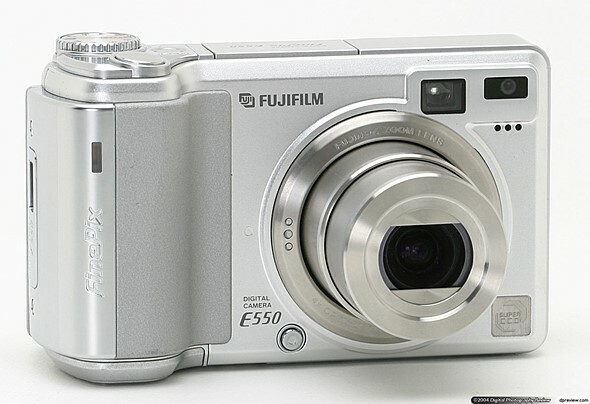 The Fujifilm FinePix S5500, or S5100, depending on where you live. Priced at $399/£250, we liked the S5100’s ‘fuss-free operation’ but wished it included optical image stabilization for its 10x zoom lens. It falls just a bit short of the 50x zoom lenses we routinely see in superzooms these days, but all in all it was a great value proposition in its time. Did you own any of these cameras? Let us know in the comments.